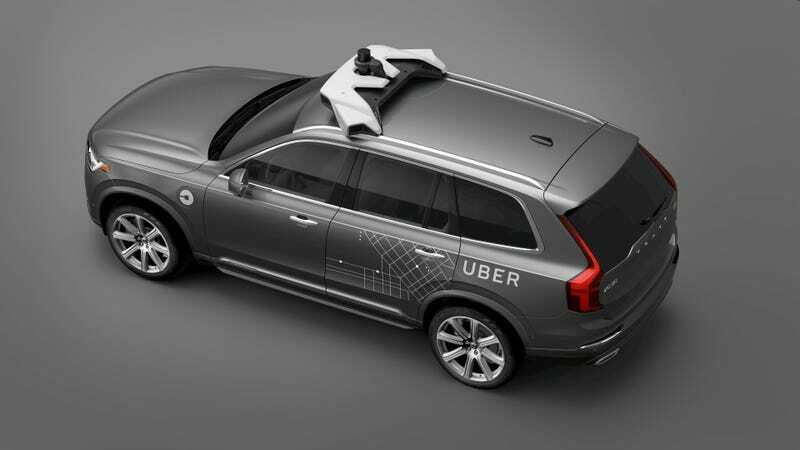 Uber’s announcement on Monday that it’s set to purchase 24,000 autonomous cars from Volvo is a big deal—for one thing, it’s the first mass order of robotaxis, another sign of how confident the auto industry and Silicon Valley feels about self-driving technology. But for a company that considered driverless cars “existential,” the news doesn’t seem to reconcile the fact that Uber still hasn’t figured out how to turn a profit. Ever since it launched several years back, Uber has spent gobs of money to consume the taxi market, and only recently started to face stiffer competition from other ride-hail apps like Lyft. That has a lot to do with the company’s scandal-plagued 2017, which is set to end with a high-profile trial between Uber and Waymo, Google’s self-driving car project, over allegedly pilfered autonomous tech. In order to achieve a significant control of the market, Uber spends like crazy to subsidize the cost of rides, pushing down the price for passengers while also paying drivers bonuses and incentives. The company reined in driver subsidies throughout 2017, as total ride bookings continued to increase, but even still it recorded a $645 million loss in the second quarter. The biggest cost to the company has been its drivers. And Uber reiterated its main objective is to remove them from the equation at some point. To be sure, 24,000 vehicles is an eye-popping figure. But the company has more than 600,000 drivers in the U.S. alone. Barring another major order being placed, that means only about 5 percent of Uber’s force will convert to driverless cars over the next four years. Uber’s new CEO, Dara Khosrowshahi, recently said the company’s business in the U.S. won’t be profitable for about the next six months. But, as The Information reported this month, Uber’s probably not going to become profitable before the company goes public, which is expected sometime in 2019. As of this summer, Uber was on track to break even before taking into account costs of real estate and running divisions such as policy, autonomous vehicles and business development, according to a person briefed on the matter. That’s no longer going to happen. In part, that’s because of mistakes in the U.S. market, which is seen as the key to its profitability hopes. Uber had to spend hundreds of millions more dollars in the U.S. than planned in order to maintain growth, said people briefed about the issue. That was the result of several factors combined, including Uber’s incessant PR problems along with a surprisingly sharp increase in the number of riders who used rival Lyft. Uber’s order from Volvo seems to suggest that it’s going to be stuck with drivers for the foreseeable future. And Lyft’s not letting up any time soon—thanks to a $1 billion infusion from Uber-rival Waymo. The caveat here, of course, is that Uber’s still raking in private capital. It recently cleared the path for a massive deal with SoftBank that would see the Japanese investor taking a multi-billion dollar stake in the company. It’s certainly plausible that private investors will continue pouring money indefinitely into Uber, despite massive quarterly losses. But the fact that Volvo’s deal represents only a fraction of the total Uber driving force had me wondering: does Uber still believe that autonomous cars are an existential crisis for the company, as former-CEO Travis Kalanick previously suggested? I reached out to the company for comment, and if it responds, I’ll update the post.